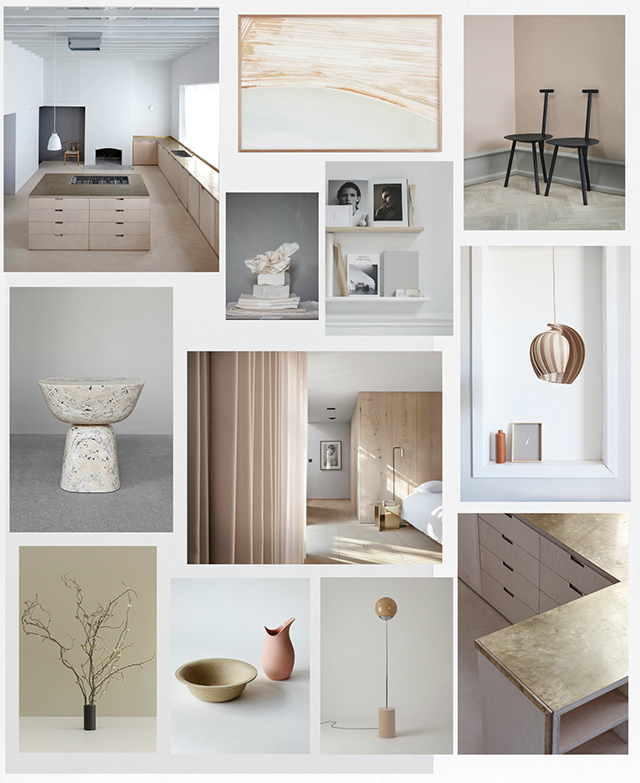 Today's moodboard includes things I'm coveting and textures I'm loving, across a palette that is never far from my mind; nudes, greys and beige. 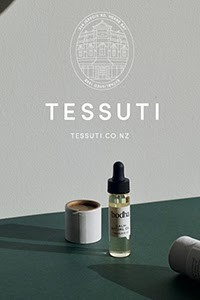 Lately I've been obsessing over lighting and I've included a couple of beauties, one from NZ and one from Sweden. Ceramics, chairs and art are a given, and I'm also currently deciding on office shelving. I'm enjoying having the walls bare since it was painted, but open shelves are so handy. The ones below by Swedish brand Melo Studio are exquisite. 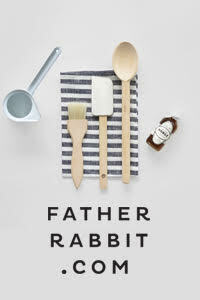 With a focus on handcrafted minimalism, the studio was founded by Sara Medina Lind and I love everything, including the impeccable styling by Pella Hedeby. I'm still favouring brass for small accents at home, but the kitchen benchtop by McLaren Excell below is amazing, especially teamed with birch plywood and concrete. Photographed by Richard Leeny, see the full house tour here.